It’s not every day that you get the opportunity to walk in the footsteps of creative inventors of yesteryear or even, try out a lifesaving invention first hand with its creator standing beside you (even if he is armed with a fresh bag of your dog’s business!) 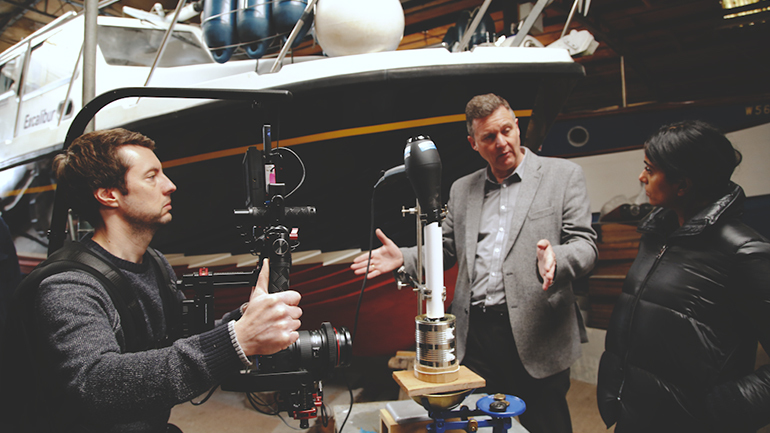 This week, Eye Film have been filming a documentary for the BBC, investigating the creations of local inventors, who inspired by water, have made a life-changing impact on society. As a region surrounded by water, East Anglia acts as a rather apt backdrop to explore inventions from old to new, from recreating the birth of Christopher Cockerell’s Hovercraft with a hair-dryer and some old cat food tins, to scooping murky pond-life into a filtration drinking water device with Essex inventor, Michael Pritchard. Led by Aarathi Prasad, Eye Film uncover the characteristic dichotomy of madness and genius that all of the featured inventors seem to possess – driven by a resolute devotion to their invention. As Aarathi meets both those who worked with these creators, and the creators themselves, one can begin to piece together, just how these creative brains have shaped our relationship with water and in many ways, have become the pioneers of life-saving equipment in our modern day society. 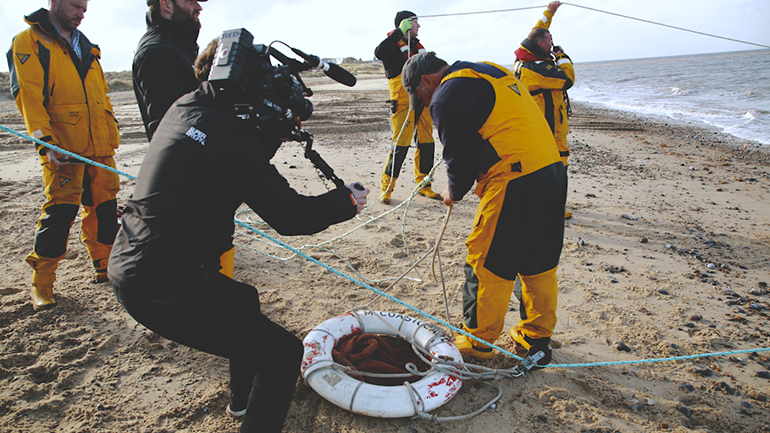 Filmed on both dry land, and aboard ship with the Caister Lifeboat crew on the North Norfolk Coast,Making Waves is a fascinating documentary you won’t want to miss, and will be shown on BBC 1 later this month.